One hundred years ago, instruments for weather forecasting were as complex as a barometer or thermometer, and as simple as your own five senses. Today, weather forecasters still use barometers, thermometers, and their own observations, but they also have rain gauges, weather satellites and even weather balloons. A barometer is a weather forecasting instrument. It measures air pressure. A barometer measures air pressure. When the air pressure is rising, you can expect mild weather. When the air pressure falls, stormy, rainy weather is on the way. A thermometer can tell you how warm or cold conditions are. 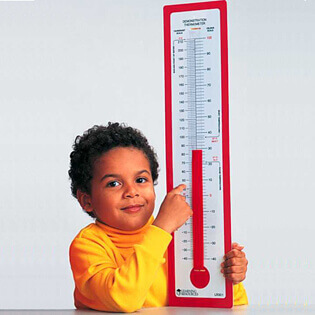 Thermometers are usually glass tubes that contain a liquid, such as alcohol or mercury. As the air outside the thermometer gets warmer, it causes the liquid in the thermometer to expand and rise. When cold air returns, the liquid contracts and goes down. A thermometer can tell you how warm or cold conditions are. 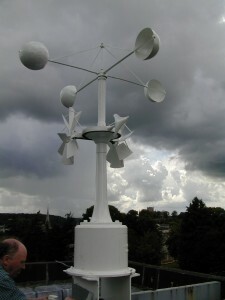 It is also one of the weather forecasting instruments. A sling psychrometric measures the relative humidity of the air, which is a measurement of how much moisture is in the air. Humid air feels heavy and moist. In hot weather, you feel miserable because sweat doesn’t evaporate. In cold weather, you feel chilled to the bone. Dry air feels light. You can regulate your body temperature better, but your skin feels dry. So do the membranes in your nose. A sling psychrometer measures the relative humidity of the air. 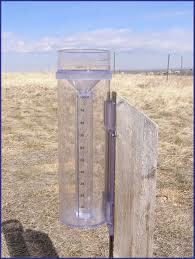 A rain gauge collects rain and measures how much has fallen. 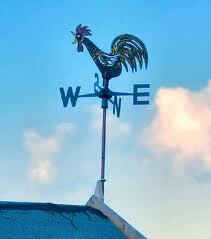 A wind sock or wind vane tells you which way the wind is blowing. An anemometer is a device that measures wind speed. Weather maps are usually computerized maps that detail weather patterns on a large part of the planet. 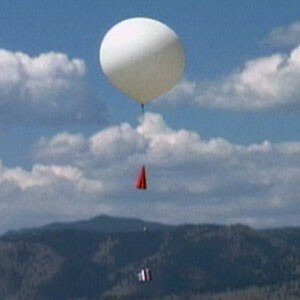 Weather balloons measure weather patterns high above the Earth. Weather satellites track and record weather patterns high in the atmosphere. They send data and photos back to weather forecasters on Earth. A video song about the different kinds of weather instruments. Question: Is there an instrument to measure snowfall? Answer: Weather forecasters measure snow with a snow gauge. You can make one of your own. Set a board on flat, solid ground. After a snowfall, insert a ruler straight down in the snow. Measure the amount of snow that has fallen. Enjoyed the Easy Science for Kids Website all about Weather Forecasting Instruments info? Take the FREE & fun Weather Forecasting Instruments quiz and download FREE Weather Forecasting Instruments worksheet for kids. For lengthy info click here.